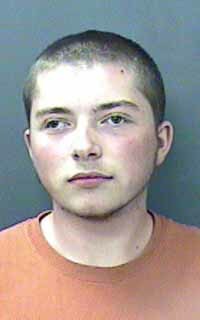 An April 6 jury trial has been scheduled for an 18-year-old Hailey man arrested in November for allegedly selling cocaine to a police confidential informant. Richard M. Livingston was arraigned Monday in Blaine County 5th District Court on a felony charge of aiding and abetting delivery of cocaine. He pleaded not guilty. Livingston is free on $20,000 bond. Hailey attorney Douglas Werth has been appointed public defender. Judge Robert J. Elgee advised Livingston that the crime is punishable by up to life in prison. According to a probable-cause affidavit filed in the case by Cpl. Mike Abaid, a Sun Valley police officer and a member of the Blaine County Narcotics Enforcement Team, Livingston allegedly sold 3.3 grams of cocaine for $275 on Sept. 29 to an unidentified police confidential informant. Abaid wrote that the sale took place near Livingston's home on Shenandoah Drive in Hailey. Livingston was charged with aiding and abetting distribution of cocaine because, according to the Abaid affidavit, he was a middleman for the alleged transaction. Abaid wrote that two other unidentified people accompanied Livingston in a vehicle to the site of the alleged sale and one of them supplied the drug to and received the money from Livingston. Livingston's arrest was not announced to the news media by the Narcotics Enforcement Team, which in the past has typically issued news releases for drug busts.